It’s happening in a lot of industries, as the UK sterling falls to an absolute low on the world markets. The Dollar is now worth an unbeliveable 1.37 this morning compared to the 2.02 high of last summer. The end result is that prices are set to rise. Cabrinha issued a new pricelist this morning and Naish tell me that a 12m torch will be around the £1250 region for 2009. With this in mind it would be wise to invest in a quiver now with the stock that was bought last summer. 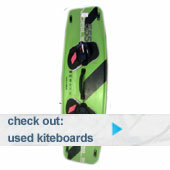 Some of these kites are on offer, like the Vapor II and the Nobile kites. This means that unlike years previous, current or last years models are now half the retail price of their new alternatives. The concept of the Vapor II is that of “a kite that maintains the steering characteristic of a high performance C-Kite with a new level of extended wind range and static depower traditionally only found in bridled kites. 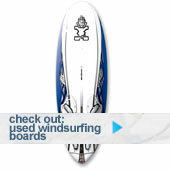 Excellent for all level of riding from dedicated wave riding to dedicated freestyle.” For 2008 the unhooked freestyle potential has been increased with increased stability in smaller sizes and increased speed in the large. An additional 8.5 size was introduced also. Airush have always been good with backup and service over the years, but in the last two we have really seen a great increase in their level of build quality. The new Vapor II is their second generation design and the quality of fitting, reinforcement and material strength is the best we have seen so far.